This Spider was Named Mike, after the guy who picked it up and carried it to safety. Yes, it was nice of him but not too smart at the same time:P At least no one was hurt!! 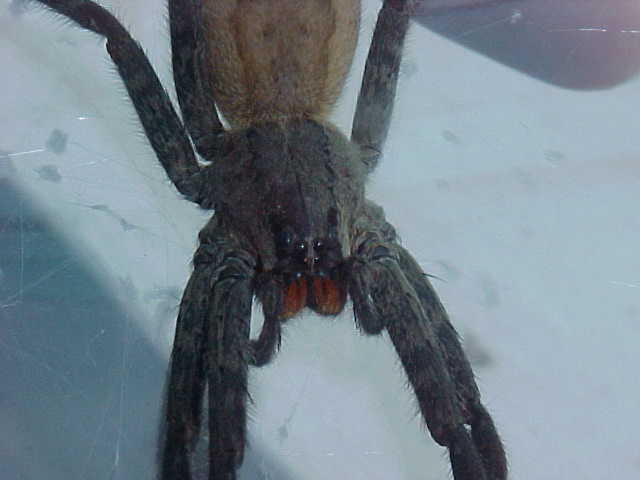 We soon found out that Mike Was Female and of the Phoneutria fera species. 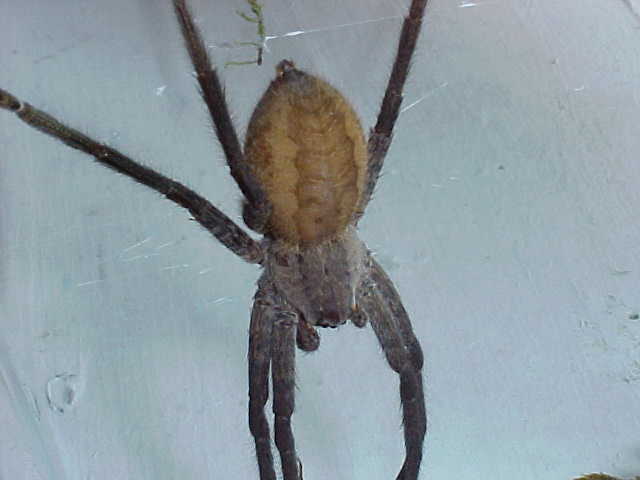 This being the MOST Venomous of the Wandering Spiders. 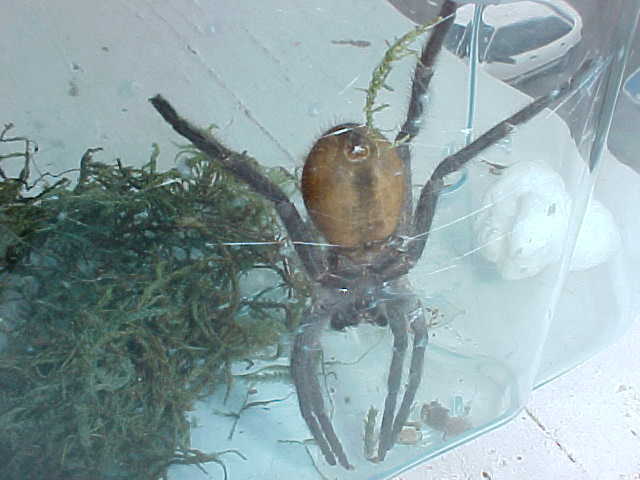 It is also ranked as one of the most venomous spider known to man. 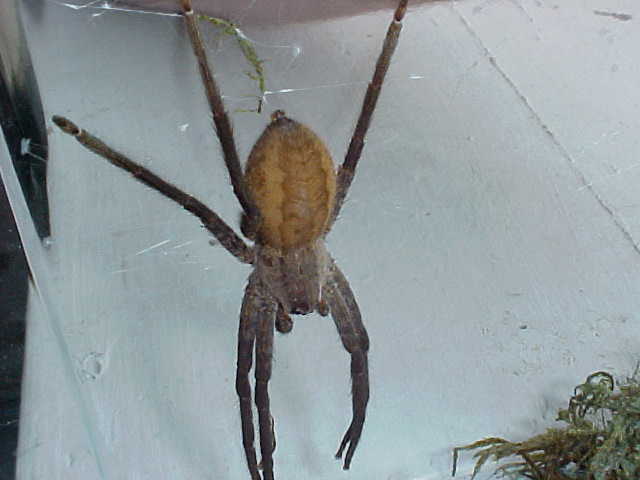 This spider is also VERY Aggressive and has been known to chase people. 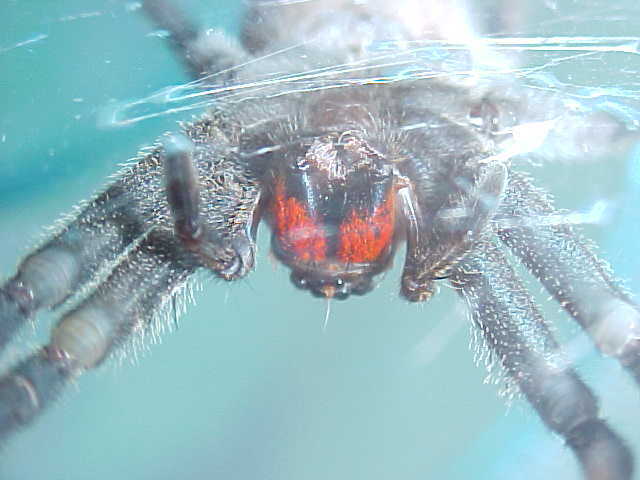 After learning about this spider We decided to change her name to Michelle. To get an Idea of how big Michelle is, with her legs extended all the way out, she measures 3 3/4 inches in diameter. To View a full sized image Michelle click on the Thumbnails. 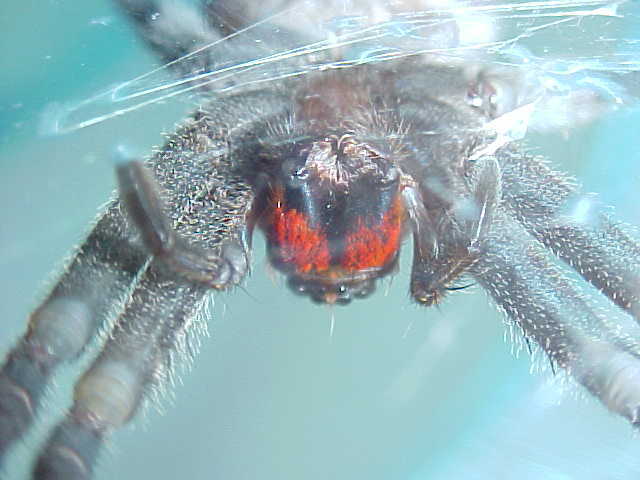 To learn more about this type of spider check out the links below.